Saakashvili’s arrest marks a turning point in Ukraine’s history and its relationship with the West. The trigger – the legislation in the Verkhovna Rada seeking to remove the head of the anticorruption body – NABU – Artem Sytnyk is an undeniable watershed. Despite President Poroshenko’s desperate attempts to portray himself as a champion of anti-corruption and pro-Western Ukrainian drive, the public trust in him and his regime has been irreversibly eroded. The Kiyv Post headline says it all – “Corrupt Empire strikes back”. 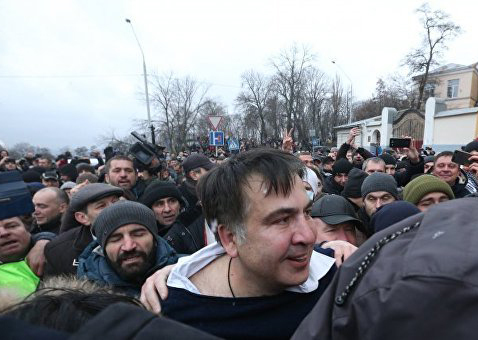 Attempts to label Saakashvili as a Kremlin agent ring hollow. His record as Odessa Governor and his open disagreements with President Poroshenko over oligarchs’ privileges and corruption in Ukraine are too strong for the Ukrainian president’s snap kompromat to hold water. The country has reached the edge of compatibility and coexistence with the Russian state and oligarchic model in place, on one hand, and Ukraine’s pro-West tilt, on the other. Poroshenko has tried to bargain with Ukraine’s strategic weight in the geopolitical standoff between the West and Russia, but there are limits, which have evinced in the last few days over the arrest of Saakashvili and the fierce opposition of Poroshenko’s party against the efforts of the Anti-Corruption Authority to combat protruding crimes at the top. Grand corruption has become the glue holding together the elite. This time, it is likely that the EU and NATO would draw a red line for Ukraine – no more money poured into a bottomless pit without reforms and above all without surgical strikes against corruption. Poroshenko is building on experience in other Eastern European countries, whose post-communist elites have managed to appease the West into accepting a rebirth of the nomenclature cadres as billionaires. Poroshenko believes he might have a chance as both the US and the EU are engulfed in soul-searching and internal problems. He is trying to trade off his country’s geostrategic location for the right to exert his autocratic oligarchic rule, ignoring compliance with basic EU and NATO values. The difference the Kiev regime fails to note is that in any CEE EU member country even the most sophisticated political autocrat would be unable to ignore the established bonds and channels of interdependence with the West. Ukraine is in a precarious interregnum status, pretty much on its own without the solid anchors of mature self-identity and public consensus. There are two possible outcomes. The first is more of the same for President Poroshenko, who sells his ‘indispensable’ role in opposing Russia as he manages to consolidate his autocratic rule, drifting away into neutral territory, possibly squatting down in front of Putin and negotiating a modus vivendi – pretty much along the lines used by Yulia Timoshenko and many other Ukrainian leaders, perpetuating the oligarchs’ grip on power. The clique at the top surely understands that this is an unsustainable situation that will most certainly end up in more public unrest. Reconciliation with Russia after the annexation of Crimea and the invasion in Eastern Ukraine is suicidal as concept and practice. On top, the Kremlin has nothing or little to offer in terms of funds needed to carry forward the public finances of the country. The other option for Ukraine is the replacement of the elite and the existing model, either forcefully or evolutionary. The second option depends very much on the reasoning of the West – whether the EU and the US adopt a hardline approach and cut off credit lines. This is not a foregone option as many times in the past Western leaders have chosen to adopt the lesser evil and bend rules in order the spare themselves Kiev’s capture by Putin. By arresting Saakashvili, President Poroshenko destroys what is left of trust in him in the West and at home. This does not automatically spell success for Saakashvili, as his chances rest purely on the power of the streets and a new Maidan energy. The division of Ukraine remains a possible and an even probable scenario as the gap between the western and the eastern parts of the country remains too wide to bridge. The oligarchs seem keen to hold onto the power and sustain their privileges and wealth. They could easily sacrifice Poroshenko for a successor capable of regaining the West’s confidence and guaranteeing their interests. 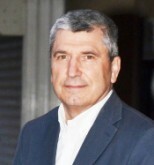 The Georgian Ivanishvili-type hybrid option is untenable for Ukraine as it would imply rapprochement with Russia. The Ukrainian president’s resorting to brutal force, putting his opponent behind bars, would invite easy comparisons to the last days of Yanukovych. History repeats itself in Ukraine and a new Maidan is increasingly likely. Poroshenko might learn the hard ways the lesson Yanukovych missed – there is no third way between Putin’s Russia and the West. This entry was posted in Europe, The Region and tagged Europe, Poroshenko, Russia, Saakashvili, Ukraine, NATO, oligarchy by Илиян Василев.